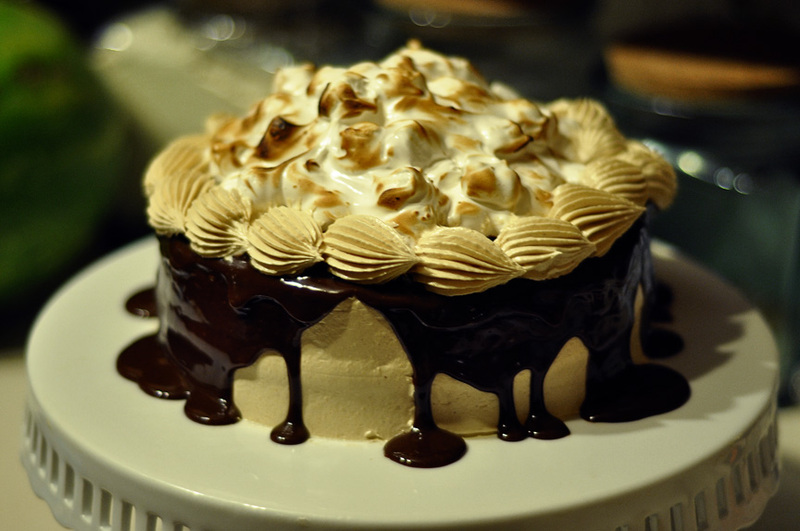 I discovered this cake and its connection to To Kill a Mockingbird ages ago, but it was more recently that Serious Eats posted a little article about the history of the Lane Cake. 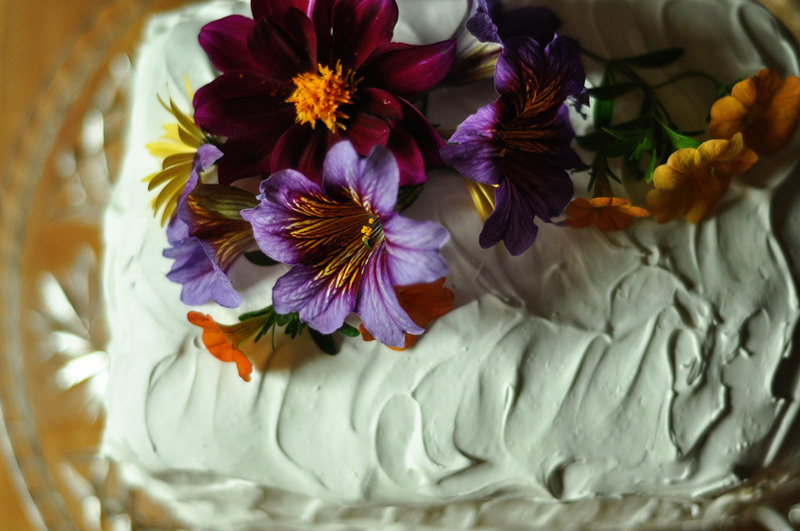 It’s a Southern cake, friends, and it is also quite boozy, so get ready. We start with these light, light cake layers, made so by whipping the egg whites separately and folding them into the rest of the bourbon-flavored cake batter. I’m not sure what type of cake this is called, maybe a chiffon cake? 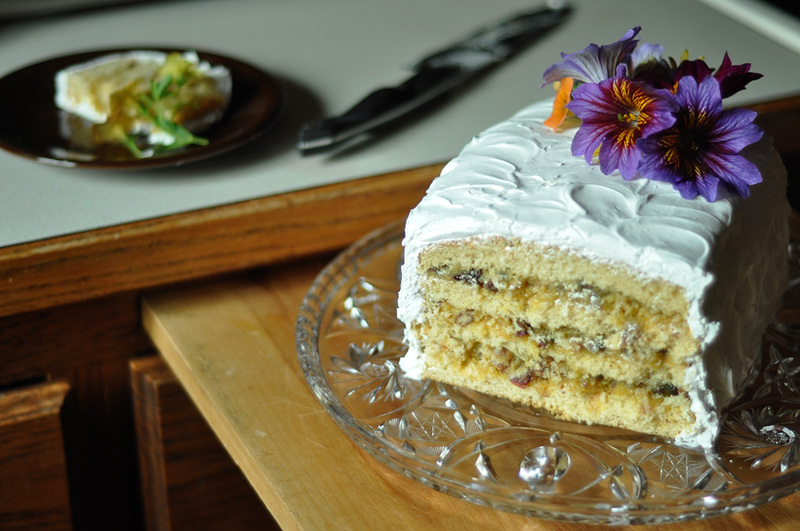 The cake is filled with a custard-y conglomerate of raisins, coconut, pecans and bourbon. I don’t typically go for raisins or coconut, but I was eating this stuff by the spoonful. 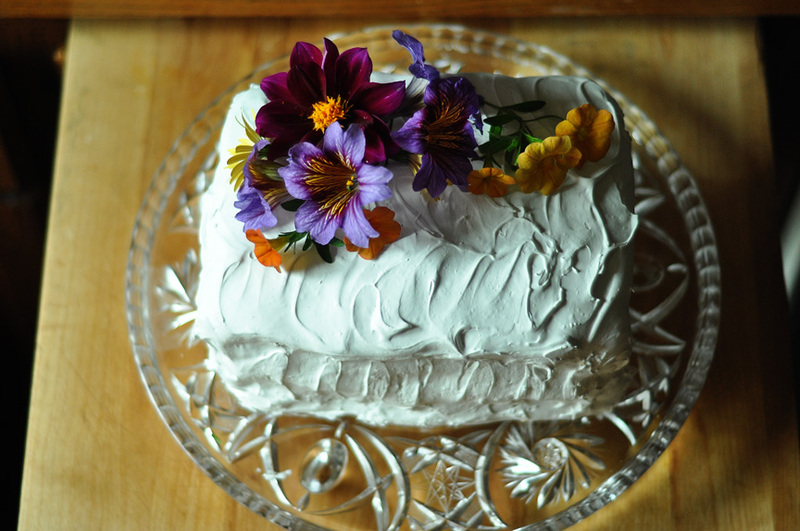 And finally, everything gets covered with swirls of a marshmallow 7-minute-esque frosting, made with egg whites. 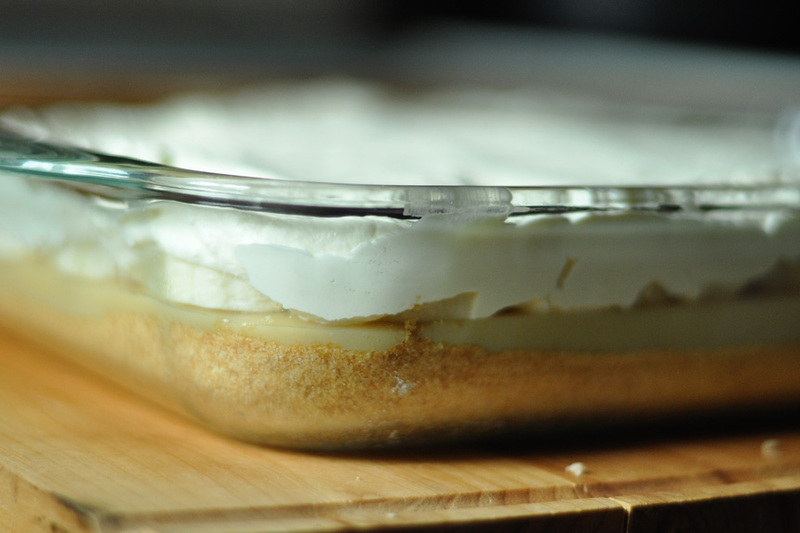 Bonus, you can use the egg whites leftover from the filling recipe. This frosting was really difficult to work with, so be sure to use it as soon as it is ready. As you can see, mine was absolutely dead on picture perfect in every way ever. The result was an absolutely addictive cake. The name “Lane” is unassuming, but there is a reason it is an American classic, and it’s not just because it contains bourbon. Enjoiiii. Preheat the oven to 275°. Spray a 9-by-13-inch metal baking pan with non-stick spray and line the bottom with parchment paper. Spray and flour the paper. In a medium bowl, whisk the flour with the baking powder and salt. In a small bowl, whisk the milk with the vanilla. In the bowl of a stand mixer, beat the butter with 1/2 cup of the granulated sugar until fluffy using the paddle attachment. Add the egg yolks one at a time, beating well between additions. Mix in the bourbon. With the machine at low speed, add the dry ingredients in 4 batches, alternating with the milk mixture and ending with the flour mixture. Transfer the batter to a large bowl, then clean the mixer bowl, wiping the bowl and whisk attachments with a vinegar-soaked paper towel to remove any trace of oil. Beat room-temperature egg whites until soft peaks form. With the machine on, gradually beat in the remaining 1/2 cup of granulated sugar until the egg whites are thick and glossy. Scrape the beaten whites into the reserved cake batter and fold until just combined. Scrape the batter into the prepared pan and bake for about 1 hour and 15 minutes, until a cake tester inserted in the center comes out clean and the cake springs back when lightly pressed. Transfer the cake to a rack and let cool to room temperature. If desired, wrap the cake tightly in plastic wrap and freeze until ready to use. Whisk together sugar and yolks in a medium saucepan; whisk in bourbon and butter, and heat over medium heat. Bring to a simmer, whisking frequently, cooking until mixture thickens to the consistency of loose pudding, about 2 minutes. Remove from heat and let cool completely. If you are rushed, you can transfer the pot to an ice bath so that it will cool faster. Stir in raisins, pecans, coconut, and vanilla. Set aside. Combine the sugar, corn syrup, salt, and egg whites in the bowl of a stand mixer. Place the bowl over a saucepan of simmering water so that the bottom of the bowl does not touch the water. 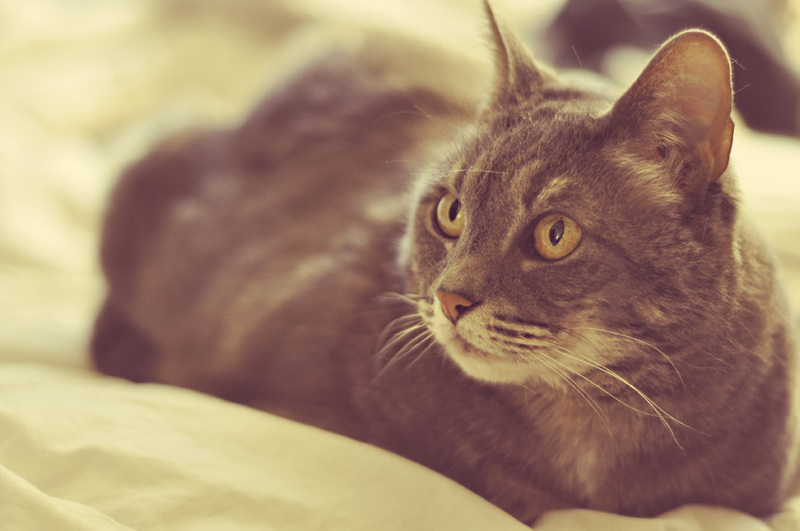 Cook, whisking often, until the sugar dissolves. You shouldn’t be able to feel the granules. Place the bowl on the stand mixer fitted with a whisk, and whisk the mixture on medium-high until tripled in volume and stiff peaks form. While the icing whips, cut the sheet cake into two halves and split each half, making four rectangular layers. Place one cake layer on a cake stand and top with 1/3 of the filling; repeat with remaining cake layers and filling, leaving top layer uncovered. Immediately spread the icing over the top and sides of the cake until the cake is evenly covered. The frosting is pretty difficult to work with; I tried to do swirls, but they kind of failed. 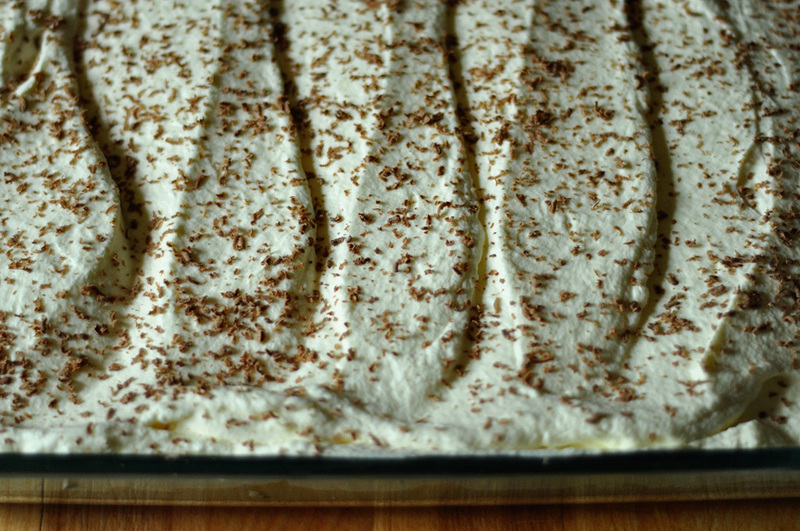 Best to use the icing immediately after whipping. Chill the cake before serving, overnight if necessary. Even though the technique is easy, the pie takes a little time to prepare, as you have to let the caramel chill to set before it can be served. I thought that maybe I didn’t cook my caramel long enough (it didn’t get as brown as I thought it should), but it tasted right enough. 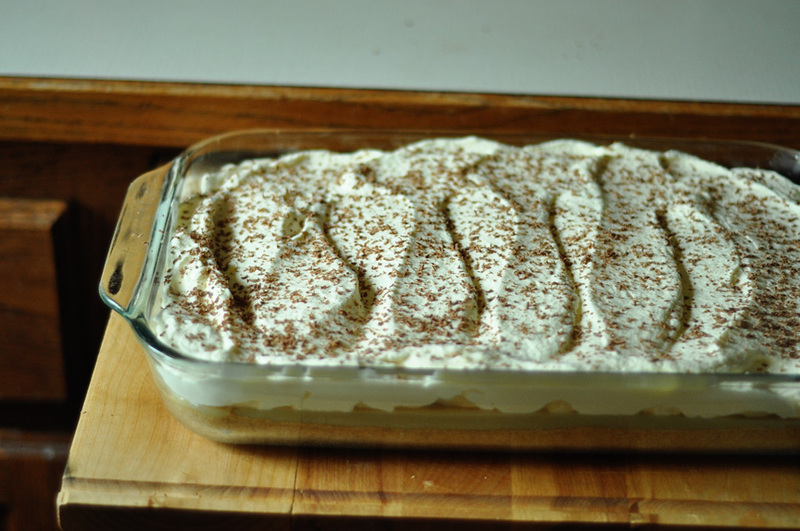 Make sure your layer the bananas and whipped cream just prior to serving (or I did mine an hour before). If you cover the bananas completely with the cream, you shouldn’t have any issues with them turning brown, but I am really sensitive to slime, so I wasn’t taking any chances. The amount of rave that these received was enough to shut down the review forum. Guys, these got rave reviews. Try it, you’ll like it. On this Random Tuesday, I have conquered bananas. YOU CAN’T SLIME ME. Celebration is in order. Place graham cracker crumbs in a bowl. Melt one stick of butter, then add to the crumbs, stirring until incorporated. 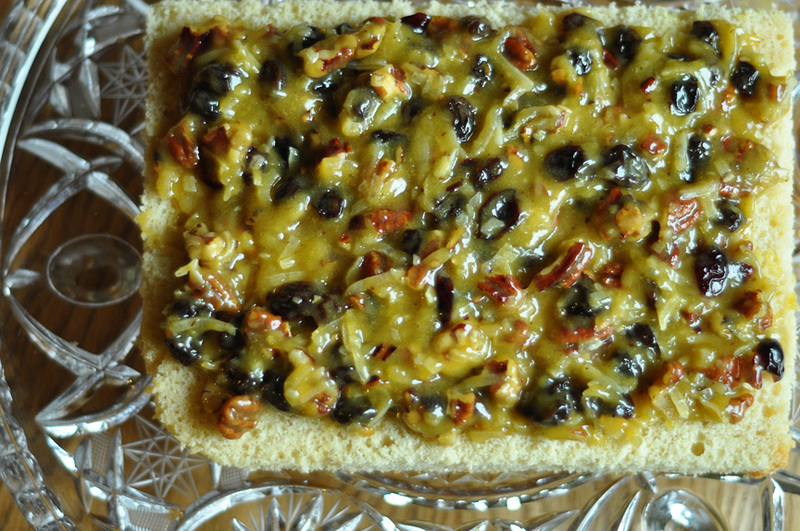 Press the crumb mixture into the bottom of a 9 x 13-inch baking dish. Chill. Melt the remaining butter in a small saucepan. 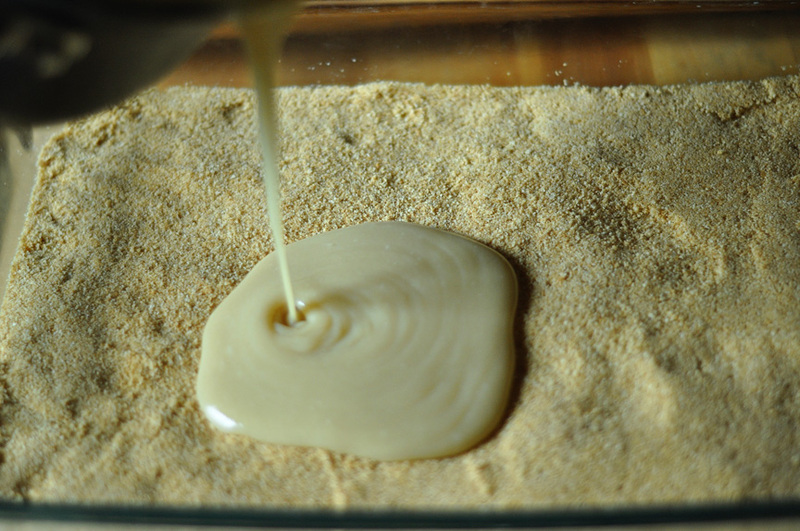 Stir in the brown sugar and melt over low heat. Add the condensed milk, and bring the mixture to a boil for a few minutes, stirring continuously. The toffee should darken slightly. Pour the filling into the crust. Chill again for at least one hour until the caramel is firm. 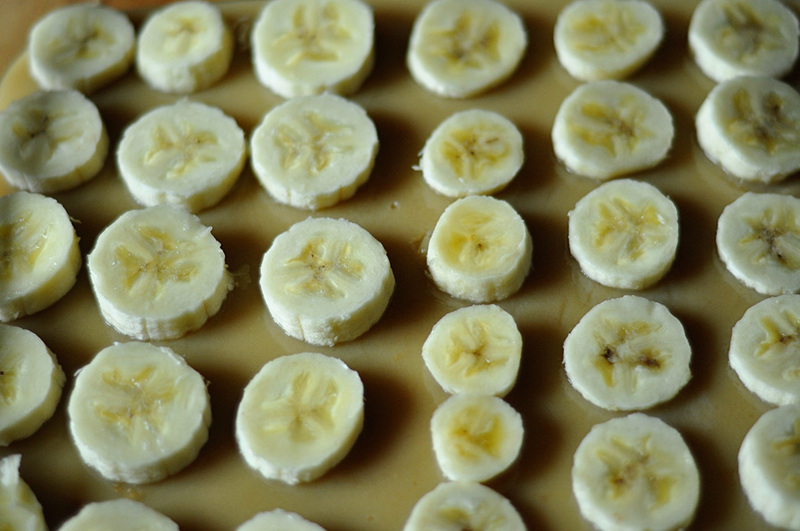 Before serving, slice up the bananas and place in a single layer over the toffee. Whip the heavy whipping cream in the bowl of a stand mixer until soft peaks form. Spread this over the banana layer. Garnish with chocolate shavings. Best served the day it is made. This recipe is the product of several recipes that have been roiling around in my brain for a year, at least. Except the peanut butter malt frosting. #LHOriginal on that. Yes, yes, I know it’s genius. It’s not like anyone has thought of marrying off peanut butter and malt. But ok, in frosting form. So I finally made it, then changed my toothbrush, which was irrevocably damaged due to the sugar in this cake, which lacquered itself onto my teeth right quick. I didn’t think it would be possible to add too much peanut butter to the frosting, so I bumped it up 1/4 cup, but I would make it with less next time. It may have been that using regular salted butter made it just a little too salty. The malt definitely started getting lost, too, so I was adding in arbitrary spoonfuls of malt powder to try and reclaim the flavor. And can I just say that I used one of those massive camping blowtorch things to toast this? Our kitchen torch is lost, but I knew I really wanted to toast the marshmallow frosting. 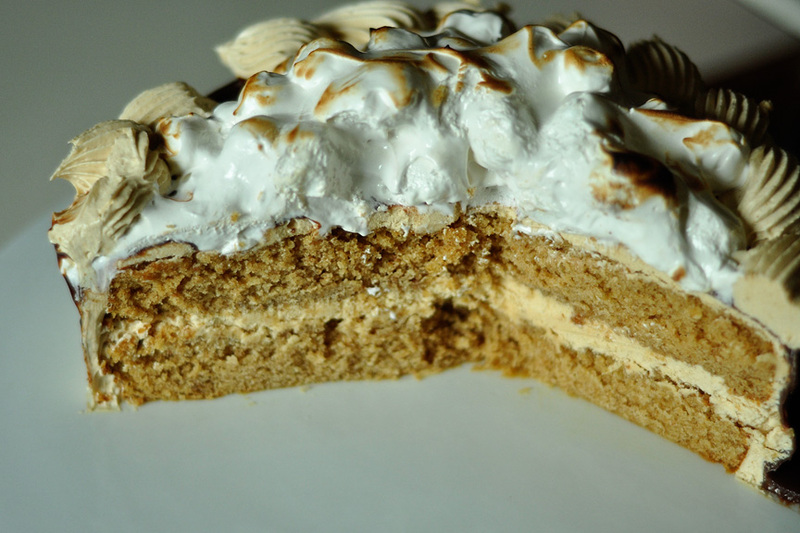 Because it just wouldn’t be a s’mores cake if I didn’t. So I turned on the tiniest gas flame and worked out my biceps holding the torch just so. The next time you see me, just ignore the fact that my right bicep is bigger than my left and pretend like it’s normal. Preheat oven to 350 ℉. Line two 8-inch cake pans with parchment. Grease and flour the parchment. Process graham crackers in a food processor until finely ground. Add flour, baking powder, and salt to the food processor and pulse until combined. Whisk the milk and vanilla in small bowl. In standing mixer fitted with paddle attachment, combine the sugar and butter, beatin on medium-high speed until light and fluffy, about 2-3 minutes. Beat in the egg yolks, one at a time, until combined. Reduce the speed to low and add the graham cracker mixture in 3 additions, alternating with 2 additions of milk mixture, stirring until just incorporated. Using a clean bowl and beaters, beat the egg whites on medium-high speed until soft peaks form, about 2 minutes. Whisk one-third of the whites into the batter, then fold in remaining whites until combined with no white streaks. 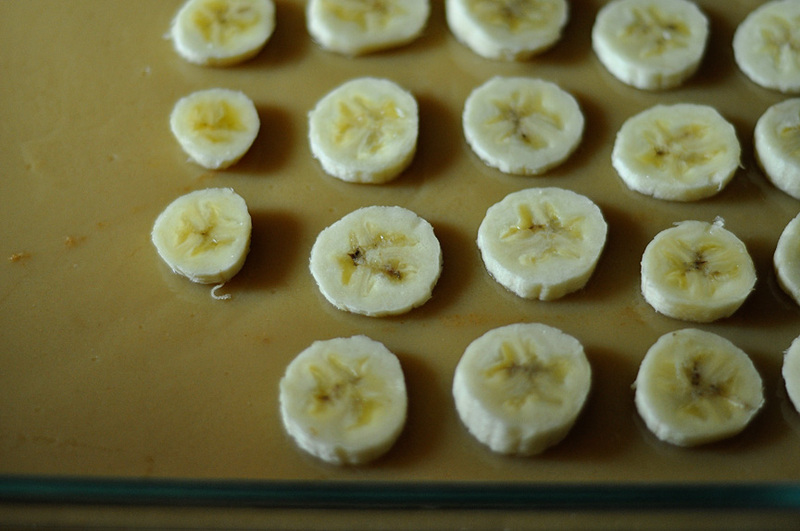 Divide the batter into prepared pans and bake until a toothpick inserted in center comes out clean, 20 to 25 minutes. 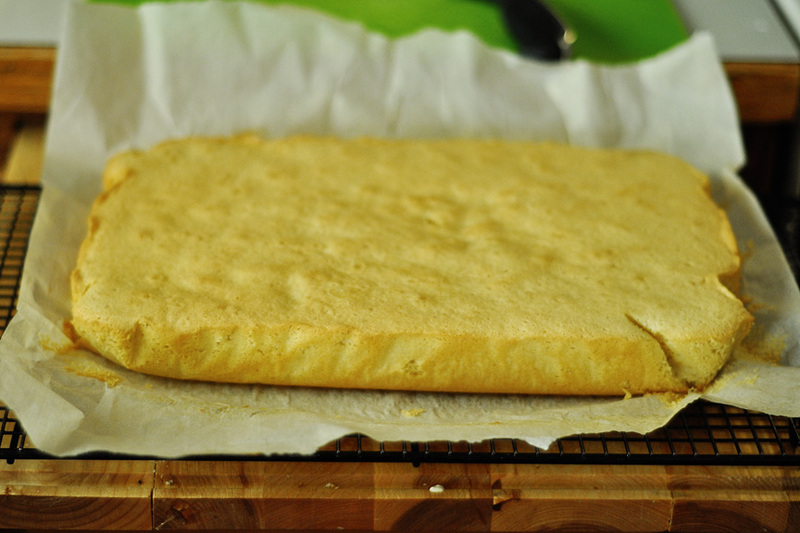 Turn out the cakes onto a wire rack and carefully remove the parchment paper. Cool completely, about 2 hours. Whisk egg whites and sugar together in a metal bowl over a pot of simmering water. Whisk occasionally until you can’t feel the sugar granules when you rub the mixture between your fingers. Transfer mixture into the mixer and whip until it turns white and about doubles in size. It should also be completely cool. Add the butter and whip until the frosting comes together, then beat in the malt powder and peanut butter until incorporated. Place egg whites, sugar, and cream of tartar in the heatproof bowl of a stand mixer. Set over a saucepan with simmering water. Whisk constantly until sugar is dissolved and whites are warm to the touch, 3-4 minutes. Remove bowl from heat, wipe dry and attached to stand mixer fitted with whisk attachment. Beat on medium-high speed until stiff, glossy peaks form, 5-7 minutes. Add vanilla, and mix until combined, then fold in the mini marshmallows. Fill and frost the cake layers with the peanut butter frosting, reserving any extra in a piping bag to decorate later. Chill in the fridge for an hour. 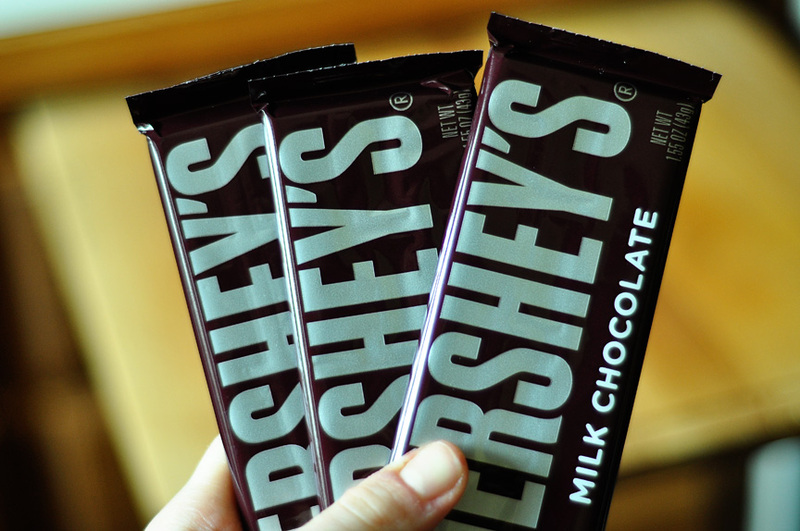 Break up a bar of Hershey’s chocolate and place in a heatproof bowl. Add heavy cream until the chocolate is just covered. Microwave the chocolate/cream until the cream is hot. Let stand a minute, then whisk together the chocolate and cream to make a ganache. Let cool slightly, then drizzle around the edge of the frosted cake. Chill. Mound the fluffy marshmallow frosting on top of the cake. Chill. 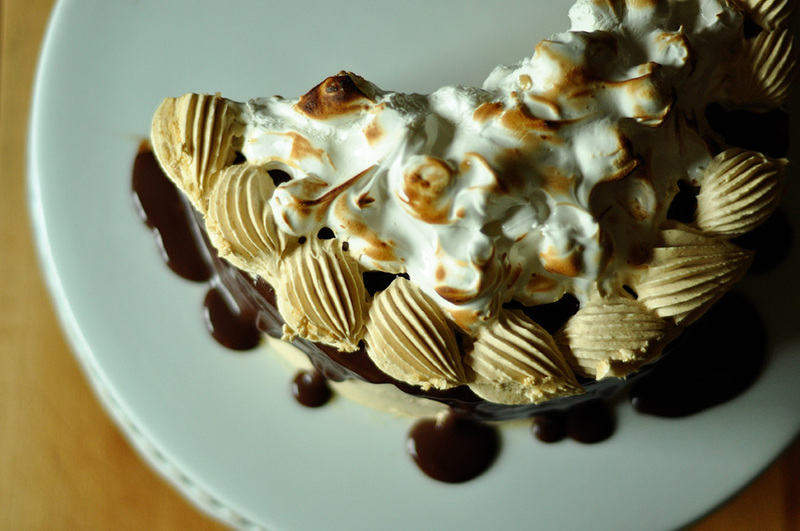 Then use a kitchen torch to toast the marshmallow. Finish by piping decorate swirls of peanut butter frosting around the edge of the cake. I never thought I would get this close to a banana dessert. For everything, there is a season. Pop culture words get me sometimes. Like, I stop reading classic novels for a while and my whole vocab goes down the drain, and I start giving in to saying “brb” out loud. And my food blog descriptions get lazy because I can’t be bothered to think of a more creative way to describe how something tastes and smells and experiences. Translation: Guyyyyyyzzzzzz, the crackly cruuuuust. Translation Secondo: Guys, the crackly top of this brownie is everything I ever dreamed of on a brownie. Like box mix, but homemade. So you see? Not only do I give a bad description (even after two translations, no one would call that inspired), but my description is peppered with extra letters that are really just a product of society’s devaluation of the English language. The only redeeming quality about the above sentence is that it conveys how dang excited I am that these brownies have a crackly top. Will you forgive me? I’m redeemed, but my language is not. Thanks. Apparently, the crackly crust phenom is something to do with the ratio of fat to saturated fat (butter to oil) in the recipe. The blog post I linked to below explains these finnicky science baking things. 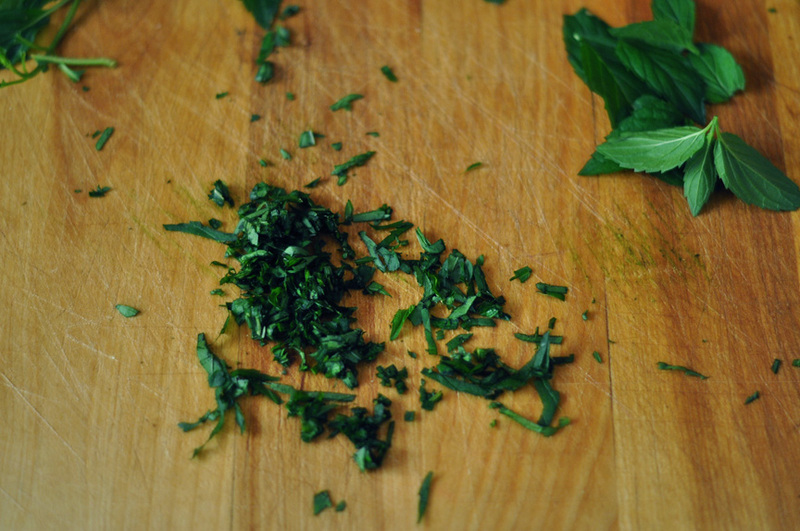 One change: I would double the fresh mint I used in this. A whole 1/4 cup, because the mint in this was not evident. 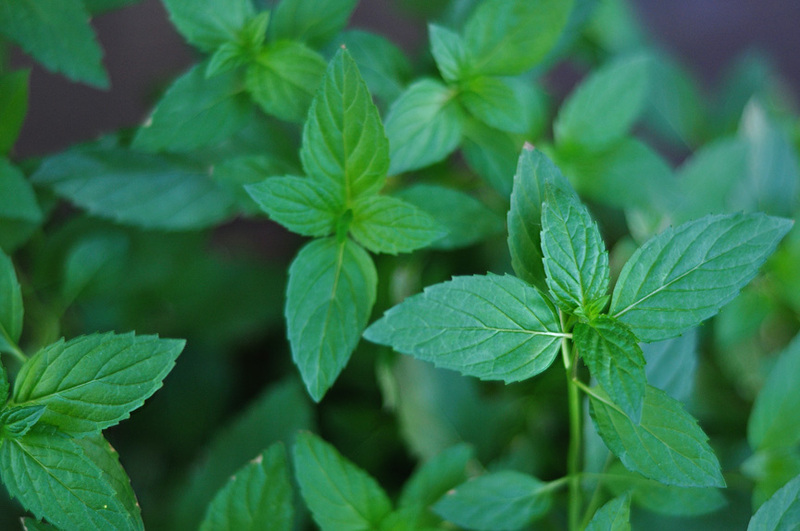 I’m a bit of a mint fiend, so maybe other people with less sugar-wasted palates could discern it, but I would err on the side of mintier. I mean, unless you just want a regular perfect crackly top fudge brownie. 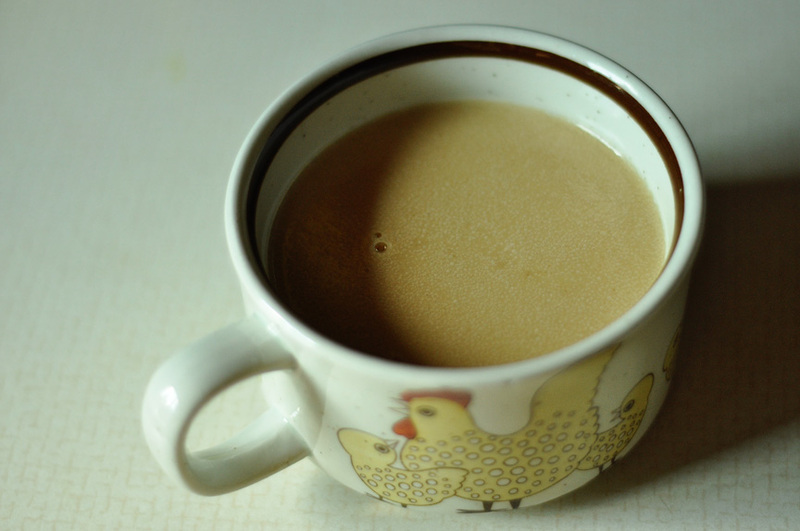 Sidenote: One of the most useful things I learned in this whole year is that 1/4 cup is 4 tablespoons. I am not kidding. I use that conversion at least twice weekly. Oh, food. Adjust oven rack to lowest position and heat oven to 350 degrees F. Line a 9×9-inch baking pan with parchment paper, leaving an overhang on all sides. Spray with nonstick cooking spray. Whisk cocoa, espresso powder, fresh mint and boiling water together in large bowl until smooth. Add the bittersweet chocolate and whisk until the chocolate is melted. Whisk the in melted butter and oil. Add the eggs, yolks, and vanilla and continue to whisk until smooth and homogeneous, then whisk in sugar until fully incorporated. Add the flour and salt and mix with a rubber spatula until combined. Scrape the batter into the prepared pan and bake until a toothpick inserted halfway in the center comes out with a few moist crumbs attached, about 30. Transfer pan to wire rack and cool for 30 minutes, then lift the brownies and parchment out of the pan. Let cool fully, about 1 hour. 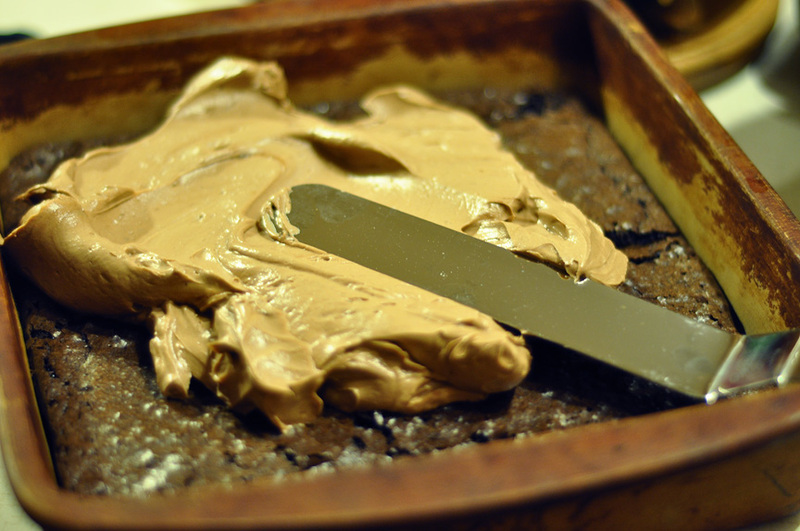 Once cool, remove the brownie layer from the parchment and stick it back in the pan. 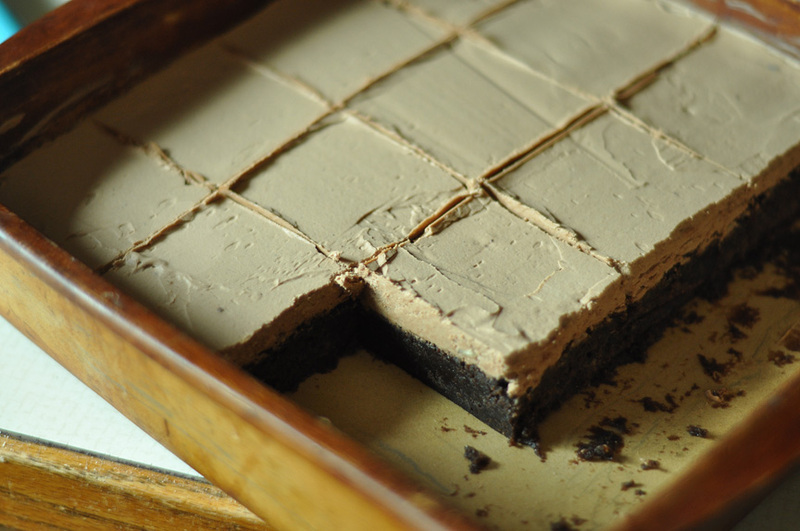 You may need to cut the brownie into four large squares to transfer it without breaking the layer. Mine broke. Learn from me. 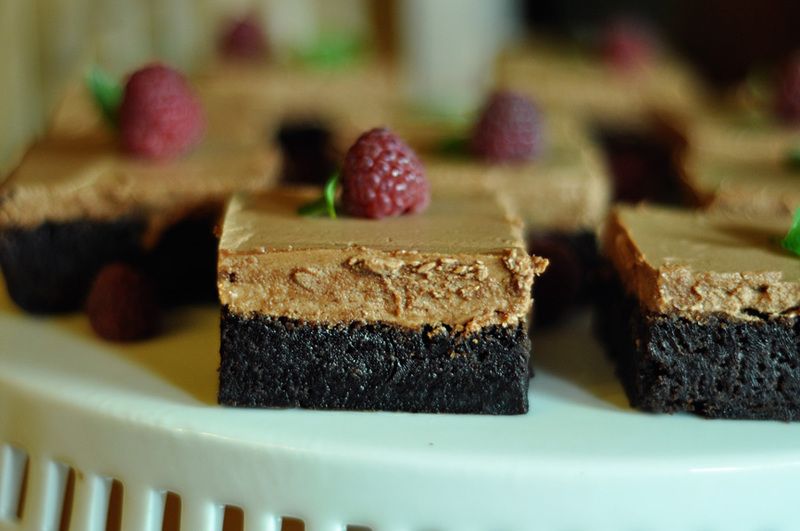 Frost with chocolate boiled buttercream (recipe below) and fresh mint leaves. Prepare the buttercream using this recipe. I halved the recipe because the pan of brownies was small. Heat 3 ounces of bittersweet chocolate in a bowl in the microwave, stirring every 30 seconds until everything is melted. Let cool slightly, then beat the chocolate into the buttercream. You know those weird icebreaker questions people ask at functions/college? Not the ones you have to do as the official icebreaker, but the ones that always come up as like “interesting details,” that are actually uninteresting, but we all just pretend. Do you like peaches or nectarines better? Seriously, that last one. I feel like people ask me that all the time. So often, in fact, that I’ve developed a pretty particular answer to the question. I mean if I have to recite my answer, I’d better know it in my head. There is no fruit in this world better than an in-season, perfectly ripe, non-grainy, ultra-sweet peach. In all cases other than the perfect peach, I prefer nectarines, primarily because they don’t have any fuzz on. 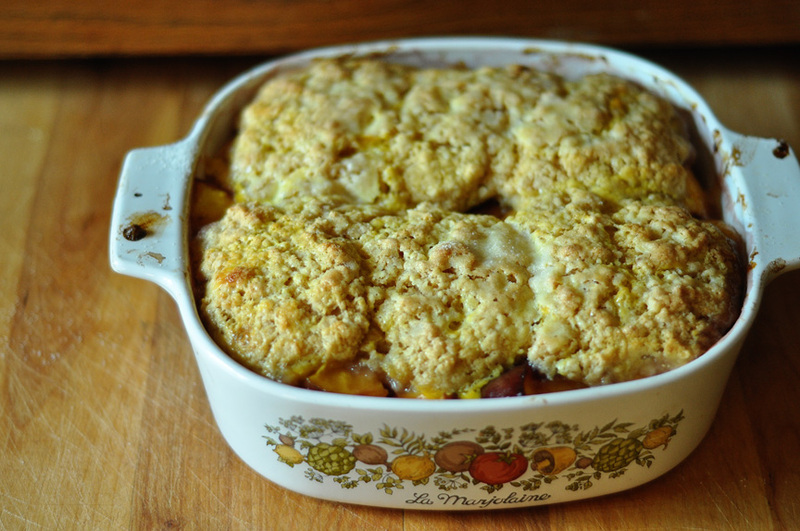 The following cobbler could be made with either, depending on what’s available. The great thing about baking peaches is that all the problems you might have worried about had you been trying to eat them raw (graininess, sweetness, unripeness) dissolve in a happy amalgamation of golden pulp. Smothered in bizkit and maple bourbon cream sauce. This dessert was actually so good that I ate three servings of it without batting a lash. I didn’t even have to justify in my mind. I just know that this kind of most perfect peach experience only happens in my life every three years, so imma take advantage. So what about you? Are you a peach person or a nectarine nibbler? Does it matter? 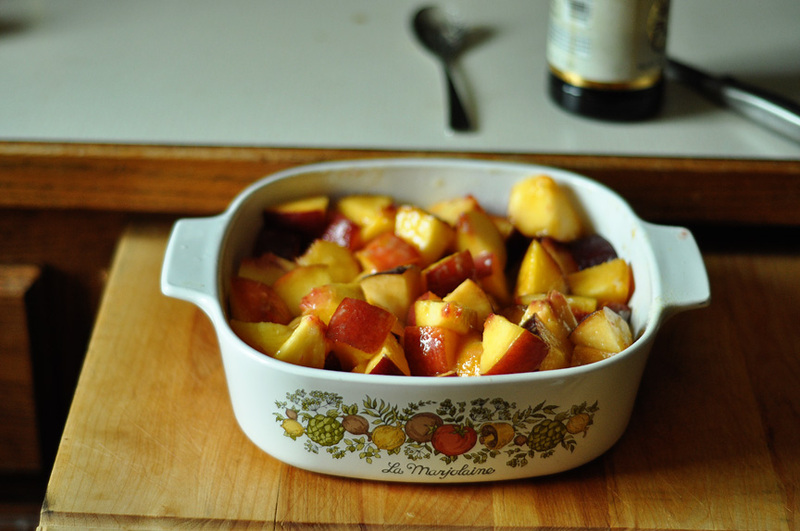 Please take advantage of any late-season stone fruit and make this. Heck, you could try it with flash frozen fruit. 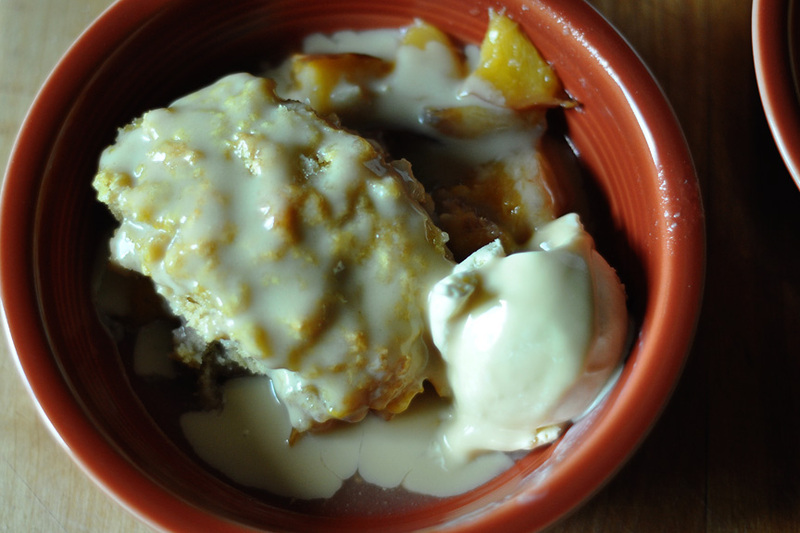 While not as delish, probs, the cobbler would still serve as a massively adequate vehicle to transport maple bourbon cream sauce into your mouth. 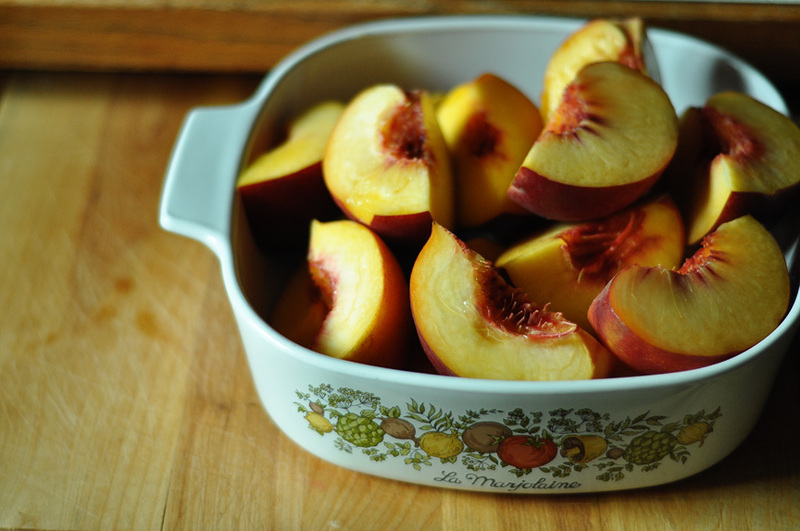 Preheat the oven to 375 degrees F. Halve, pit and cut the peaches into ½-inch slices; you don’t have to remove the skin. 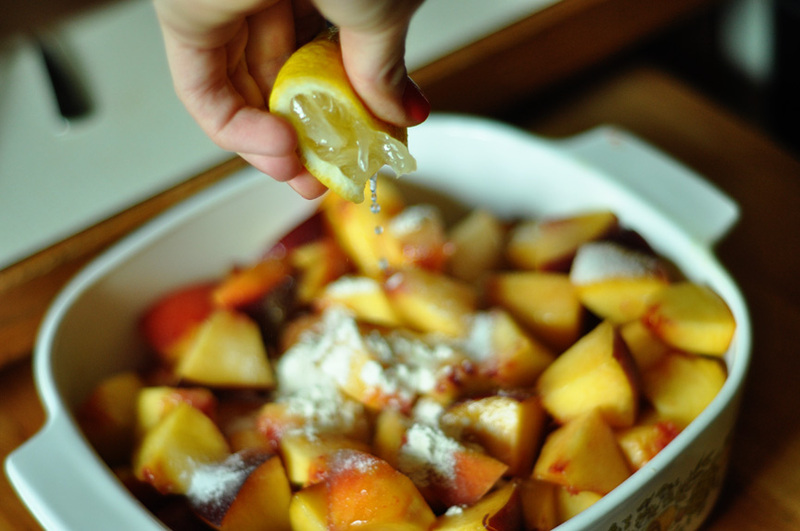 In a large bowl, toss the peaches with the 1/4 cup sugar, lemon juice, 2 teaspoons flour and vanilla. Transfer the fruit mixture to a 2 quart baking dish. Bake in the preheated oven for 30 minutes, stirring once, until the fruit is warm and bubbly. While the fruit is baking, make the biscuit dough. In a medium bowl, whisk together the 1½ cups flour, baking powder, baking soda, 2 teaspoons sugar, salt, nutmeg and cinnamon. Grate the butter on the largest holes of a box grater into the flour mixture. Stir just to coat the butter in the flour. Pour in the buttermilk and stir just until the dough is moistened. Don’t overmix. After the fruit has baked, drop the dough in six equally sized mounds onto the fruit. In a small bowl, whisk together the egg yolk and milk. Brush the egg wash over the biscuit dough and sprinkle liberally with extra sugar. 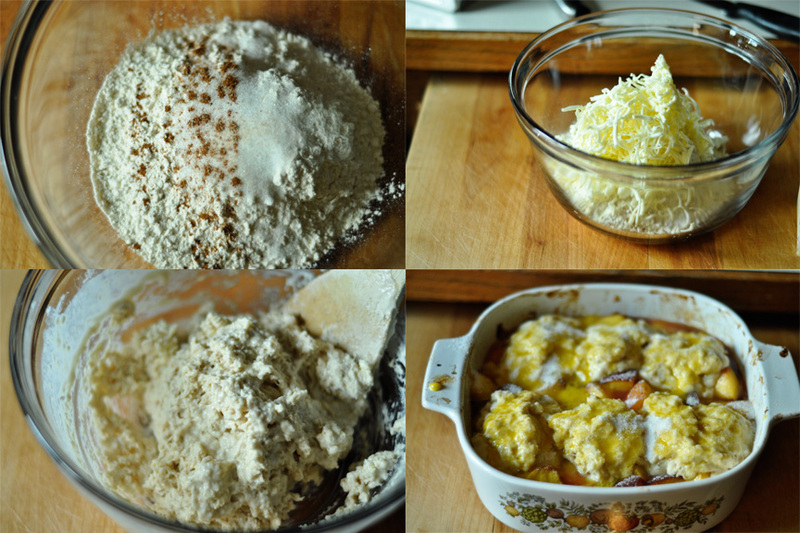 Return the baking dish to the oven for about 20 minutes, until the biscuits are golden brown. 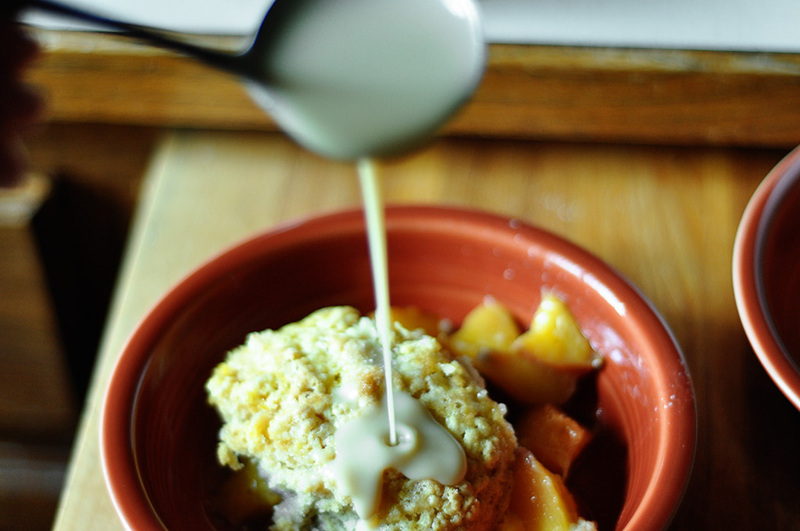 Let the cobbler cool until just warm and serve with maple bourbon cream sauce and vanilla ice cream. Pour the whipping cream into a saucepan. Add the maple syrup, corn syrup, maple flavoring and bourbon, stirring over moderate heat until thickened and reduced by about one-third, which should take 15-20 minutes. 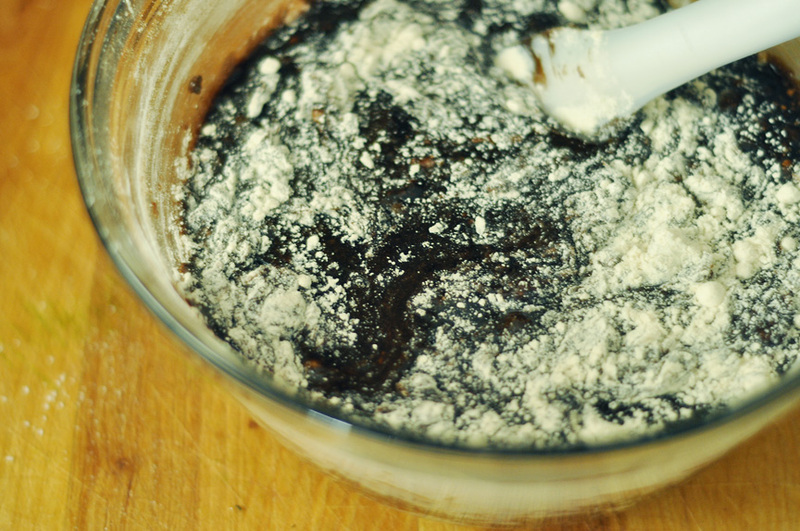 Refrigerate the mixture until it is cold and thick, stirring occasionally so it doesn’t form a skin. If you are rushed, you can set the sauce over an ice bath and cool it more quickly. 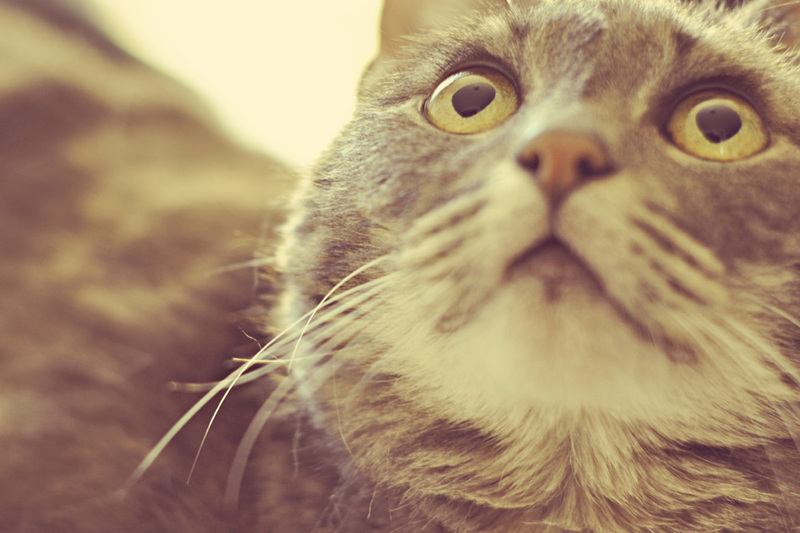 Maybe these will be the only cat photos I ever post. Had to try it once, I figure. Just to see what it is like.